A strong Scottish presence was ensured with Glasgow Housing Association and Agrico UK both picking up prizes. It’s fantastic to see so many organisations nominated, demonstrating great people management practice and a commitment to staff development. 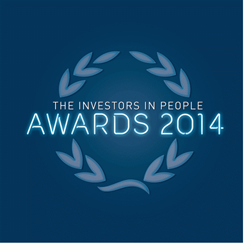 Britain's best people managing organisations were announced last night at the first ever Investors in People Awards, held in London. The Awards, which received over 500 entries from different sectors all over the UK, recognised the best people management practices across the Investors in People community, including top workplaces, best bosses and highest achievers. The 15 categories recognised Excellence in Leadership and Management, Reward and Recognition, Social Responsibility, and Most Improved Organisation, amongst others. The big winner of the night was Glasgow Housing Association, which scooped employer of the year (250+ employees) and the overall winner awards. Its chief exec Martin Armstrong also scooped the Leader of the Year award.